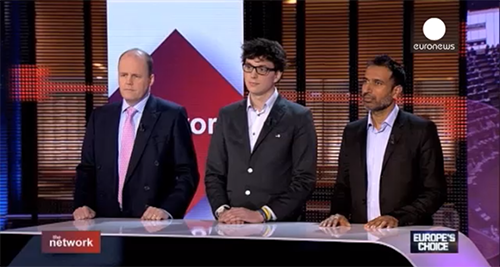 The German national TV ZDF recently broadcasted a show starring our JEF members in Brussels. 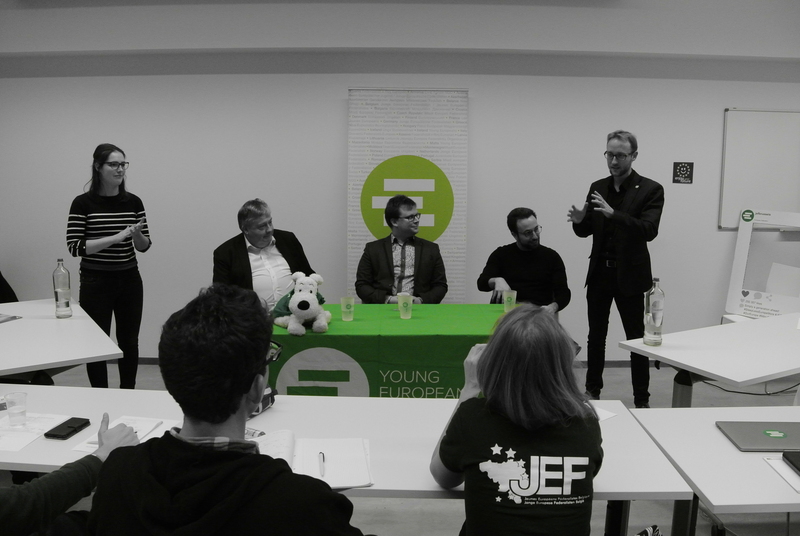 The segment of the show, which runs from 33:00 to 38:00, shows the daily life of Brussels’ own Captain_Europe on a busy day and records JEFers celebrating the MovEurope campaign at the JEF headquarters. Here is the link to the show (the segment starts at the 33rd minute). 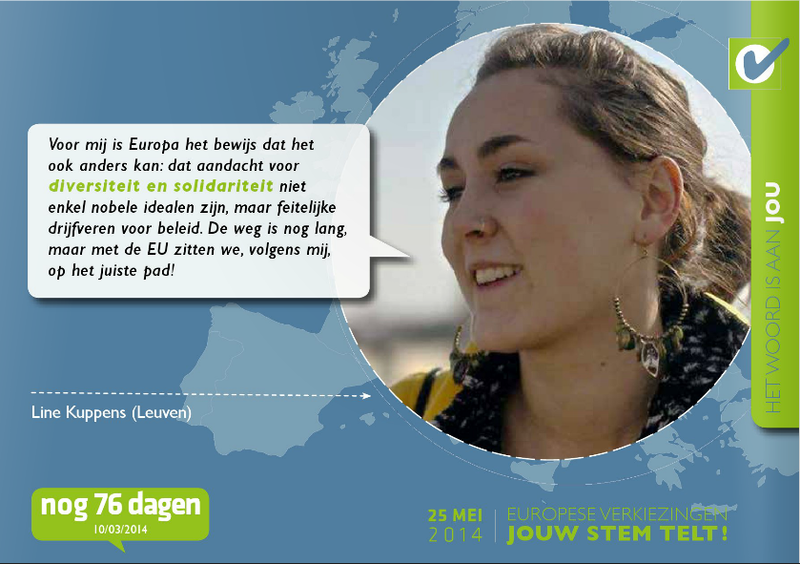 As you have already noticed while attentively turning the pages of European Movement’s countdown calendar for the 2014 European election, the publication features many of our Belgian members of JEF explaining what Europe means to them. The online versions of the calendar are also available online in two different language versions: see the Dutch version here [NL] and the French version here [FR]. 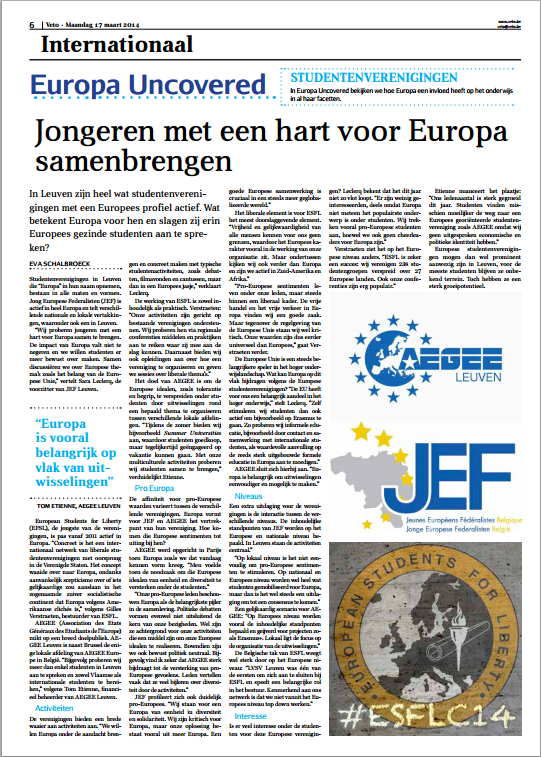 On Monday, March 17, JEF Belgium and JEF Leuven appeared in VETO, Leuven’s student magazine. 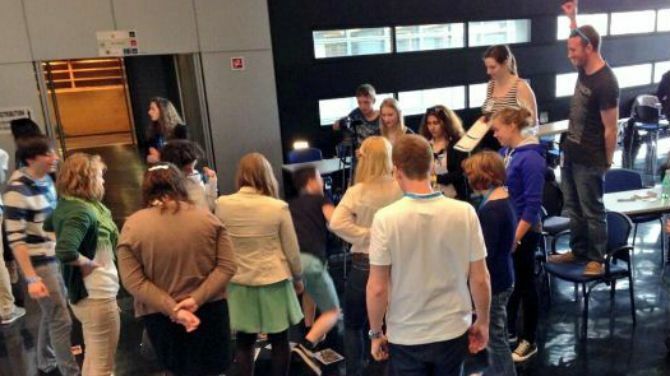 Read about the young hearts beating for Europe, JEF partnerships and activities – in Dutch! JEF Belgique vers les élections européennes!